While an adult spends his or her time at sitting at a desk or lounging on the couch, a kid’s work zone – and play zone – is the floor. 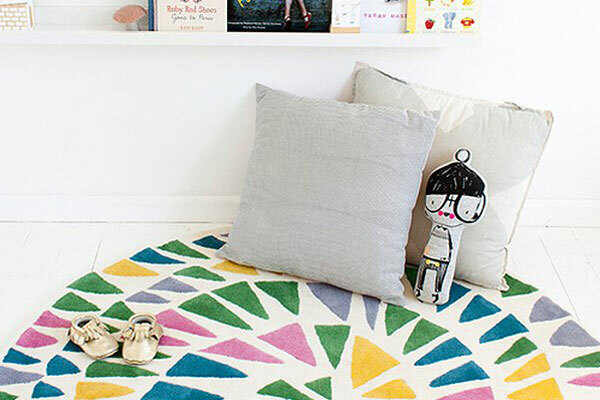 Treat their special space with a soft and inviting floor treatment made just for them. Little P is a textile brand focusing specifically on kids – babies to tweens. As an offshoot of the bespoke, Sydney-based, textile design house, The Palmer Studio, Little P was a natural progression for creative director, Philippa Anderson, who has four kids of her own. Beautifully crafted from 100 per cent New Zealand wool, Little P rugs are vibrant with colour and delightfully on trend but they are also soft, resilient and naturally hypoallergenic. Little P rugs are designed right here in Sydney and then handmade in traditional rug-making regions across Asia by expert artisans. They proudly align with GoodWeave mills and Care and Fair to protect against child labour and to ensure that funds are invested back into those communities. There are some lovely designs to choose from in the Little P range but here is the best part; each design can be customised in colour and even size to suit your requests because nothing is mass produced. Sweet and whimsical, the Silver Lining Cloud series (pictured above) is perfect for the bedroom. Available in two sizes, starting at $625, it comes in three colours: blossom, cloudy or vanilla cream; I love the silver sparkle around the edges for a fun and modern touch. 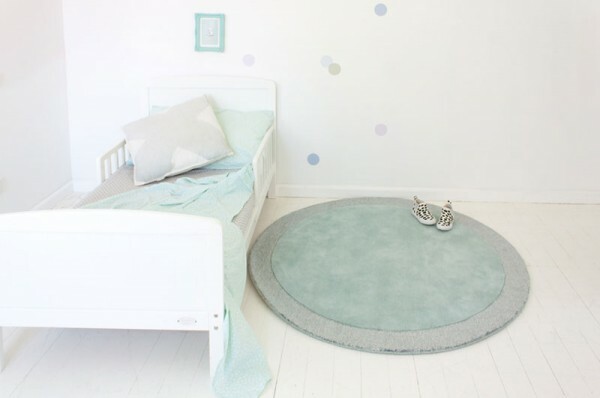 The Silver Moon series is a gorgeous, round, two-tone rug in a similar soft colour palette and I am such a fan. They come in a 1200mm ($490) or 1600mm diameter ($825) and look great in a nursery for either a boy or girl. 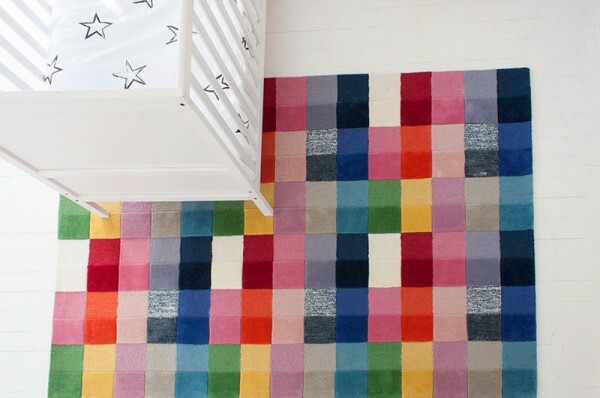 Inject a bit more colour and personality into your child’s space with the multicoloured squares of Colour Pop from $1150 or the more organic shapes in the vivid Apple-Green Apple rug from $490. 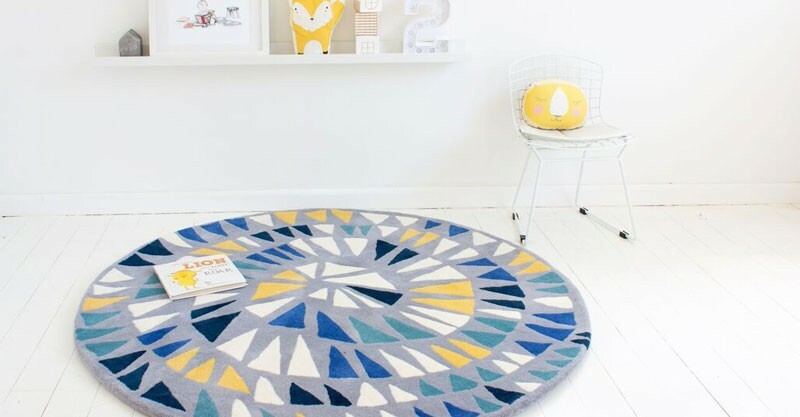 Spice up a neutral colour palette with one of the Round & Round rugs (priced from $490). It ticks a whole host of boxes as a contemporary and original design feature as well as an inviting and comfortable place to play. The colour options are just divine with names like Cloudy Pop (pictured at top), Marshmallow Pop (pictured below) and Night Pop, but remember, you can always select your own. 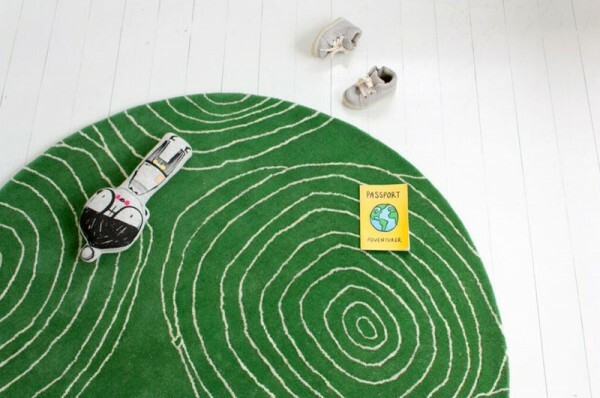 Discover the whole range of Little P rugs online or purchase a rug through one of their Australian stockists. They also ship internationally so contact them for more information on your destination.